Since we live in an era of big problems, we tend to spend our time thinking of big solutions. Thinking big, however, can have a paralyzing effect on taking action. In my new book Two Percent Solutions for the Planet, I take readers on a journey around the world where low-cost, easy-to-implement solutions are regenerating the planet now, rather than in some distant future. Two Percent Solutions for the Planet profiles fifty innovative practices that soak up carbon dioxide in soils, reduce energy use, sustainably intensify food production, and increase both water quality and quantity. Why “two percent? It is an illustrative number meant to stimulate our imaginations. It refers to: the amount of new carbon in the soil needed to reap a wide variety of ecological and economic benefits; the percentage of the nation’s population who are farmers and ranchers; and the low financial cost (in terms of GDP) needed to get this work done. We live in an era of seemingly intractable challenges: increasing concentrations of carbon dioxide (CO2) in the atmosphere, rising food demands from a human population that is projected to expand from seven to nine billion people by 2050, and dwindling supplies of fresh water, to name just three. What to do? So far, our response to these big problems has been to consider “big” solutions, including complex technologies, arm-twisting treaties, untested geoengineering strategies, and new layers of regulation, all of which have the net effect of increasing complexity (and anxiety) in our lives. And most of these big solutions come with big costs, both financial and social, especially for those least able to bear them. Which raised a question in my mind a few years ago: Why not consider low-cost, low-tech, nature-based solutions instead? I knew this was possible based on my experience with the Quivira Coalition, a New Mexico–based nonprofit that I cofounded in 1997 with a cattle rancher and a fellow conservationist. Our original goal was to find common ground between ranchers, conservationists, public land managers, scientists, and others around progressive livestock grazing practices that were good for both the land and its inhabitants. Over time our work increasingly focused on building economic and ecological resilience in the West, with a special emphasis on ecological restoration, local food production, and bridging urban-rural divides. Through Quivira, I had met many innovative people who had been hard at work for decades field-testing and implementing a wide variety of regenerative land management practices, proving them to be practical, profitable, and effective. These practices, such as planned grazing by livestock and the ecological restoration of creeks, are principally low-tech, involving photosynthesis, water, plants, animals, and thoughtful stewardship rather than big-ticket technologies. I knew they improved land health, produced food, and repaired broken water cycles. What I didn’t know was how they might address the rising challenge of greenhouse gas buildup in our atmosphere. This changed in 2009 when a Worldwatch Institute report, “Mitigating Climate Change Through Food and Land Use,” landed on my desk. 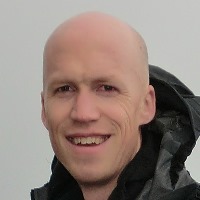 Its authors argued that the potential for removal of CO2 from the atmosphere through plant photosynthesis and related land-based carbon sequestration activities was both large and largely overlooked. Strategies they listed included enriching soil carbon, no-till farming with perennials, employing climate-friendly livestock practices, conserving natural habitat, and restoring degraded watersheds and rangelands. That sounded like the work of the Quivira Coalition! Exploring further, I discovered that many other regenerative practices also sequester CO2 in soils and plants as well as address food and water problems. The link, I learned, was carbon. It’s the soil beneath our feet, the plants that grow, the land we walk, the wildlife we watch, the livestock we raise, the food we eat, the energy we use, and the air we breathe. Carbon is the essential element of life. A highly efficient carbon cycle captures, and stores biochemical energy, making everything go and grow from the soil up. A healthy carbon cycle, I realized, had a wide range of positive benefits for every living thing on the planet. However, I also discovered that carbon sequestration in soils and the climate change mitigation potential of these regenerative and resilient practices was nearly unknown to the general public, much less to decision makers and others in leadership positions. Even within progressive ranching, farming, and conservation communities, the multiple economic and ecological gains that come from increasing carbon in soils were largely overlooked. The story of carbon needed to be told, I saw, leading me to write Grass, Soil, Hope: A Journey through Carbon Country, which makes the case that if we can draw increasing amounts of carbon out of the atmosphere and store it safely in the soil we can go a long way toward solving many of the challenges that now confront us. There wasn’t enough space in Grass, Soil, Hope for many of the hopeful stories of regenerative practices that I had discovered along the way. What to do with all these wonderful solutions? After giving it some thought and consulting with my colleagues at the Quivira Coalition, I decided to begin writing them up as short case studies — ultimately resulting in this book: Two Percent Solutions for the Planet. The goal of this book is to present informative snapshots of regenerative practices in a format that can be widely read and shared. It is not a comprehensive accounting by any means. I picked 50 topics that I consider to be a diverse representation of the regenerative world. There are other solutions already at work, and new ones are being developed even as you read this. I encourage you to seek them out. In the meantime, I hope this book will help you connect the dots between these diverse, pragmatic, and hopeful practices. Of all the human needs we strive to make sustainable, the one we consistently overlook is the one closest to our skin—our clothes. It’s an oversight we need to address, because almost everything we wear is drenched in fossil fuels, including the synthetic fibers that make up the majority of the raw material in clothes and the dyes that make them colorful. So, if behaving sustainably means procuring our food from a local foodshed and our water from a nearby watershed, why don’t we try to procure what we wear from a local “fibershed”? The quick answer is that we can’t, because those locally made clothes don’t exist. Not yet, anyway. 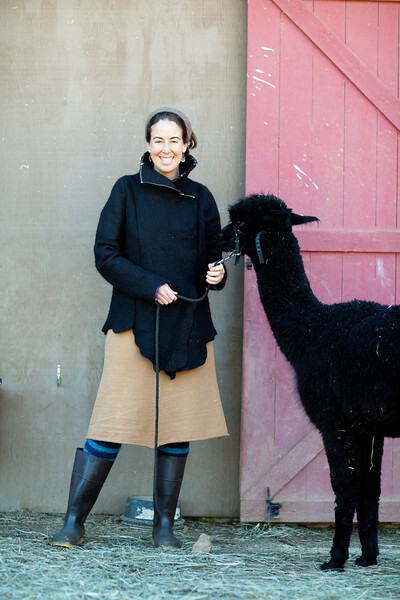 However, Rebecca Burgess, executive director of the California-based Fibershed, and her partners are on it. If they have their way, someday we will be able to buy clothes made locally from natural fibers created by sustainable grazing and farming practices and spun in nearby mills powered by renewable energy, all part of a robust, low-carbon, climate-friendly regional economy. And that’s just the beginning! Burgess envisions these fibersheds as the foundation for an international system of textile supply chains, designed to regenerate the natural systems on which they depend while creating a vibrant and lasting textile culture. If that sounds utopian, well, consider the alternative: our current industrial system for producing clothes. Take water pollution, for example. According to the World Bank, textile manufacturing is the second largest source of freshwater pollution in the world (principally from dyeing) and accounts for 20 percent of all water contamination. Synthetic fibers, which make their way to the sea via sewer lines from industrial laundry operations, are a huge source of pollution in the world’s oceans. Those are just two of the environmental costs. Don’t forget the low wages, terrible working conditions, and human rights abuses that are pervasive in the garment industry, including persistent slavery and child labor. The toll can be deadly. The collapse of a textile factory in Bangladesh in 2013 (despite warnings) killed 1,200 workers and injured more than 2,500 in the deadliest garment-manufacturing incident in history. Burgess is quick to point out that the clothing industry is aware of these issues and that some larger corporations have begun to adopt eco-friendly practices, including the use of organic natural fibers. However, the goal of Fibershed is to go way beyond correcting deficiencies in the current system and create instead a radically new model, one inspired by time-honored traditions from around the planet. The roots of the project go back to 2009, when Burgess decided to create and wear a prototype wardrobe made from fibers, dyes, and labor sourced within a 150-mile radius of San Francisco. To accomplish this goal, she pulled together a team of innovative agriculturalists and artisans to build the wardrobe by hand (because the manufacturing equipment had been lost decades ago). The team worked toward four specific objectives: produce no toxic dye waste; use no pesticides, herbicides, or genetically modified organisms; significantly reduce the carbon footprint of the wardrobe in comparison to conventionally produced clothes; and incubate a regional community of artisans and farmers that would collaborate and grow in number over time. The prototype demonstration was a success on all levels, sparking widespread interest not only in the word fibershed (which Burgess coined) but in the concept behind it as well. To push the concept forward, in 2011 Burgess founded the Fibershed Marketplace to explore the possibility of creating a cooperative to help fiber farmers and artisans stay in business together. Then in 2012, she founded the nonprofit Fibershed in order to educate the public, including policymakers and entrepreneurs, on the benefits of producing local clothes using regenerative practices. Which raises a question: How is a fibershed defined exactly? According to Fibershed’s website a fibershed is “a geographical region that provides the basic resources required for a human’s first form of shelter (aka clothing).” However, don’t get it confused with a watershed, warns Burgess, because a fibershed must necessarily cross multiple topographic boundaries to work ecologically and economically. Right now, that means stretching the definition of “local” way out—at least until sustainable fiber production takes off. Another way to define a fibershed is to describe what’s in one. The map (below) presents an idealized vision. 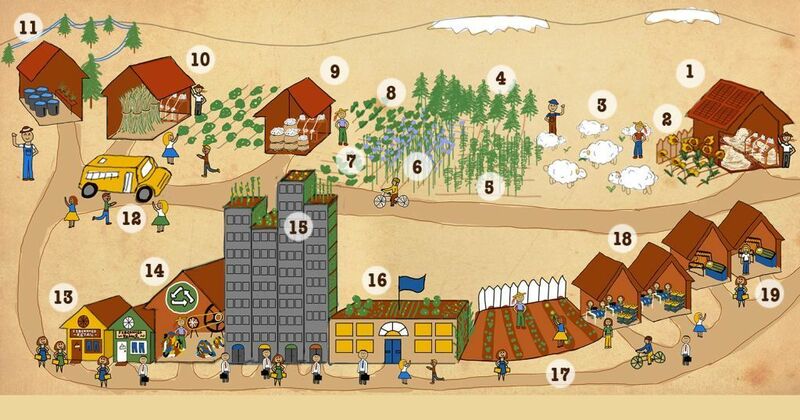 It includes a solar-powered wool mill; a greywater dye garden; grazing sheep; industrial hemp, flax and nettle cultivation; small-scale cotton-spinning equipment; a greenhouse; children visiting the field where their jeans are grown; a recycling mill; rooftop gardens for food, fiber, and dye plants; sewing pods; a knitting frame; and weaving studios. It’s a utopian vision that’s very much grounded in reality. For example, over three million pounds of wool are produced in California every year—more than anywhere else in the nation—of which 99 percent is shipped out of state, mostly to China. Much of this wool is wear-next-to-the-skin quality, which means that the raw material for the establishment of numerous fibersheds is already at hand. In fact, artisanal fiber operations have sprung to life in at least eighteen communities around the state since 2012, selling largely to upper-end markets. It’s small, Burgess says, but it’s a start. It’s all bundled together in an idea called the California Wool Mill Project, which pulls together a broad array of regenerative solutions. 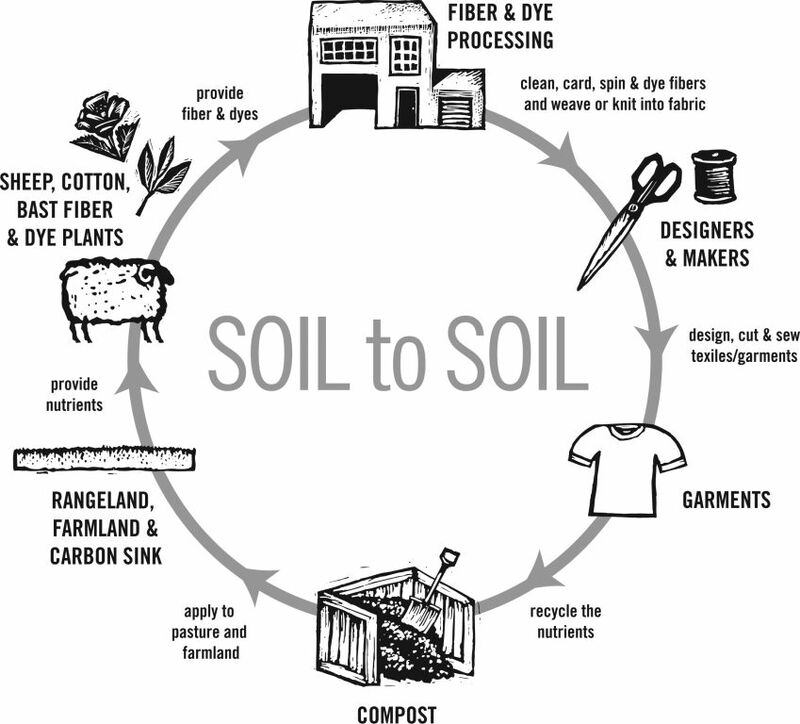 The summary from the Project’s feasibility study (available at http://www.fibershed.com), which was conducted to assess the potentials of producing cloth in a vertically integrated supply chain using 100 percent California-grown wool fiber, states that the goal of the Project is to create a technical road map for an ecologically sensitive closed-loop mill design utilizing renewable energy, full water recycling, and composting systems. Furthermore, the products from the mill were analyzed and shown to have a high potential for net-carbon benefit. In other words, we all live in a fibershed—we just don’t know it yet!